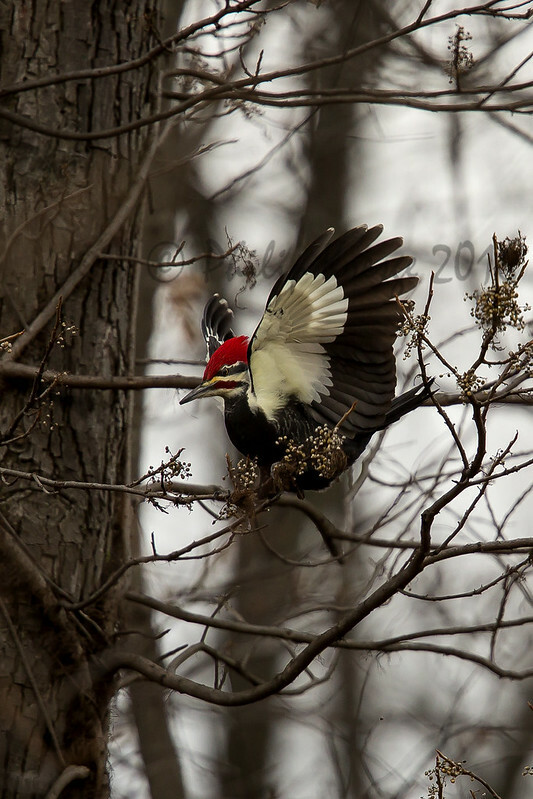 Had shoulder surgery 4 weeks ago and was told by my Dr. not to lift anything over 5 pounds for 6-8 weeks, but when this Pileated Woodpecker stopped by, I had to get the 500mm out. Great captures Phil. Thanks for the sacrifice. I know I would have done it. Beautiful! They sure enjoy those Poison ivy berries! Thank you John and Zach. 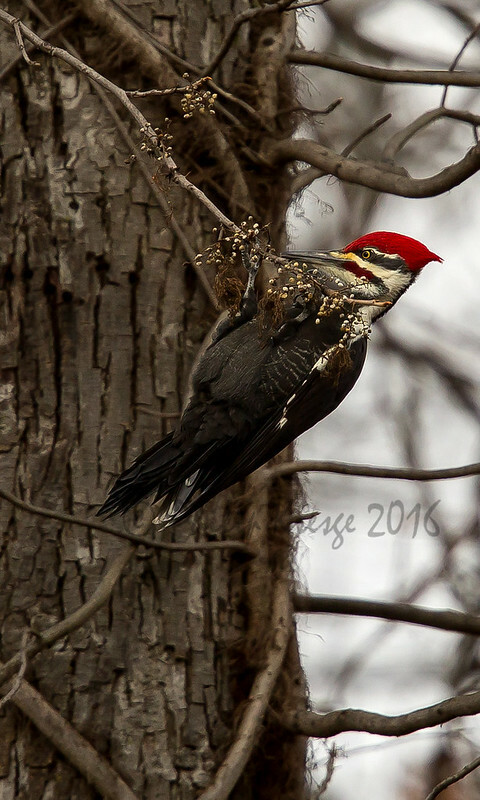 Two pileated woodpecker threads back to back. Life is good! Great underwing shot Phil. Those seem to be tough to get. Very nice. Not that I doubt Zach’s comment, but can you confirm the i.d. on the poison ivy berries? I’m not familiar with them. They definitely add a nice touch to that shot. Oh, and take care of that shoulder! Great shots, hope that shoulder gets better. I love the spread wing as well, great shots. Excellent shots Phil, hope the shoulder heals soon for you.